← Men’s Freedom Sessions – new this fall! Prayer is absolutely vital to corporate growth within the church. It sustains the momentum of the church by releasing the Holy Spirit to work on behalf of the purposes of God. A lack of prayer causes us to fall back on our own abilities and skills, moving us to become self-reliant. Our purpose and goal is to rely on God and His directives first. When prayer precedes abilities and skills, it helps us engage in ministry that endures for eternity! Join us for training in this critical discipline and ministry. 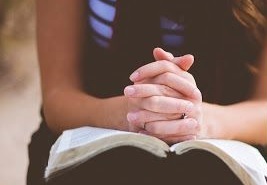 Does God still speak today? This is one of the most important questions a Christian can explore, and has huge implications for every aspect of a person’s life and walk with God. 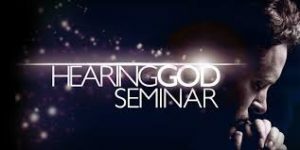 This Hearing God seminar consists of six sessions. Each participant gets a Hearing God participant manual. – A 45 minute teaching section to give seminar participants understanding of what Scripture says about hearing and conversing with God. – A 45 minute practicum section to guide seminar participants into the practice of various aspects of hearing and conversing with God. – A homework section to guide seminar participants to grow in their practice of hearing and conversing with God. Each practicum builds upon the previous session’s practicum, so that the entire seminar guides the participants into a progressively growing relationship with God through the application of hearing God in all aspects of life. We pray these sessions will help with our corporate prayer goal to Abide in Daily Conversation with God.